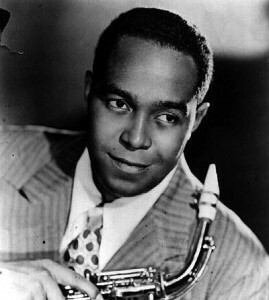 Charlie Parker was one of the great bebop saxophone players. Bebop is a style of jazz characterized by the combination of a fast tempo, intricate melodies, and virtuosic improvisation. It’s fast, furious, and chaotic – but don’t make the mistake of thinking that this chaos is a lack of structure. Anything but. This is not just good advice on how to play good music. It’s good advice on how to channel creative energy to do great things, from playing music to product and design innovation. How does someone forget their skill while in the act of using it? What I think Parker was saying is that you can’t let what you know limit your creative linking. He knew the saxophone so well it had become practically a reflex. Yet he wasn’t interested in getting on stage and playing a song the same way every time. Parker thought a song should be different every time it’s played. How can someone practice for that? Mastering his instrument was necessary for Parker to be able to “just wail” and play on a higher plane. While Parker was improvising his playing was grounded by the mastery of his instrument. Even though he forgot everything, his skill was so much a part of him that it helped steer him in the right direction; it guided his intuition. There is no arguing that mastering a skill is a good thing. But on balance there is a downside. As we gain knowledge, we learn more about what’s not possible. If we ‘re told something works a certain way, the easy thing to do is to accept that as truth. It becomes easier to silence your inner skeptic. Yet you still have to constantly channel the skeptic and not let your knowledge make you lose sight of the possible. If Henry Ford became an expert on horse drawn carriages, would he have invented the model T? What does this mean for being part of a creative team, and building new products? Two things are the importance of collaboration and isolation. Charlie Parker wasn’t a master of the drums, trumpet, or bass. It took a group of people with complementary skills to make the music he wanted to. Today it’s widely understood that a great way to promote creative innovation is by designing serendipity that brings together different disciplines. According to Walter Isaacson’s Steve Jobs biography, Jobs believed that, “If a building doesn’t encourage [collaboration], you’ll lose a lot of innovation and the magic that’s sparked by serendipity”. Isolation also helps prevent knowledge of the past from guiding the possible. When a company is looking for a breakthrough innovation, oftentimes the team working on that project will work from a separate location than the rest of the company. This is to not let the knowledge and norms of the company limit their ability to think freely. Parker’s words can act as a reminder that sometimes we have to forget what we know in order to have creative breakthroughs.